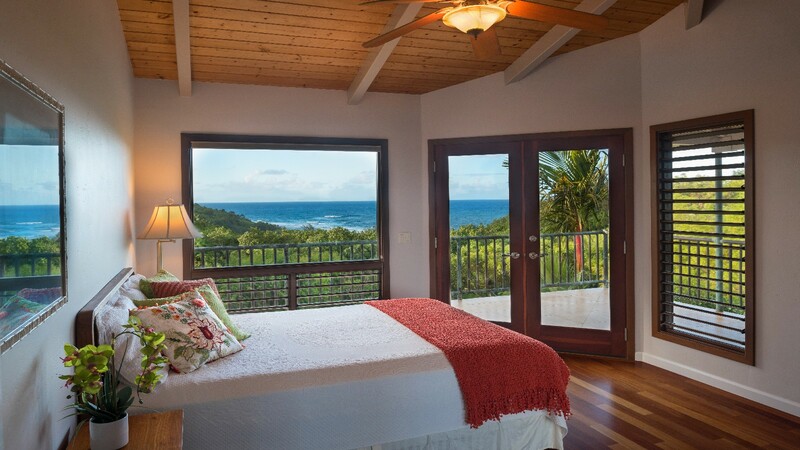 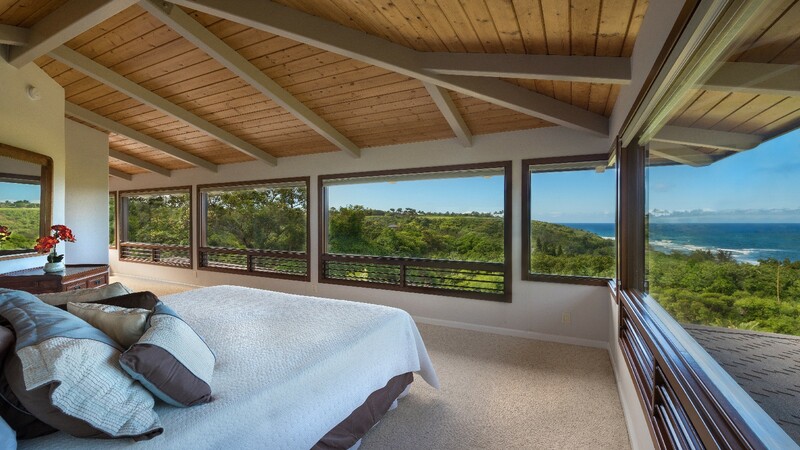 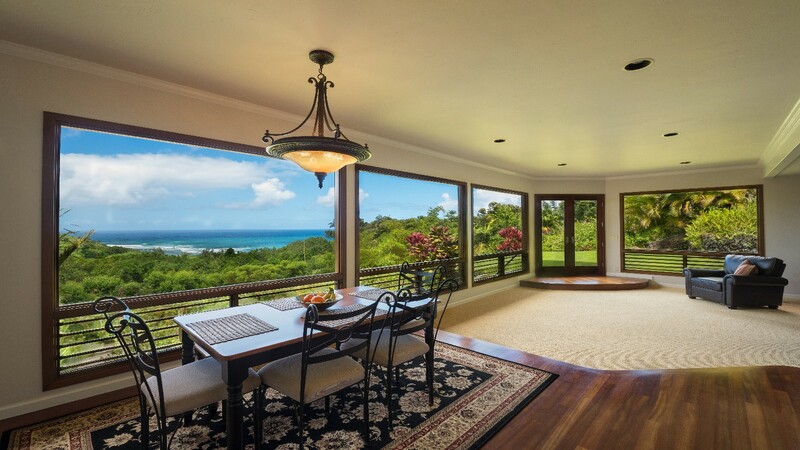 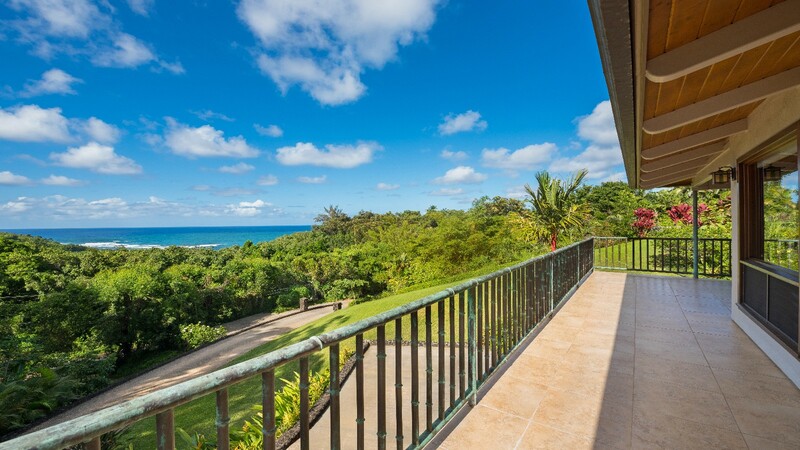 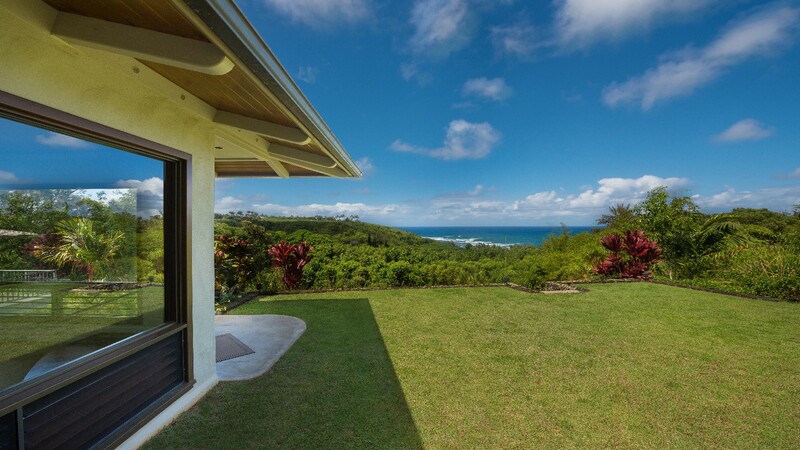 Striking ocean views are the hallmark of virtually every room in this custom home. Pristine beaches are just a seven minute walk in either direction. Ocean conditions and premier surf spots can all be checked out from the breakfast table! 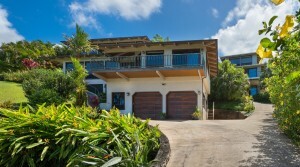 Intelligent design distinguishes this 3 bedroom 2 ½ bath dwelling. 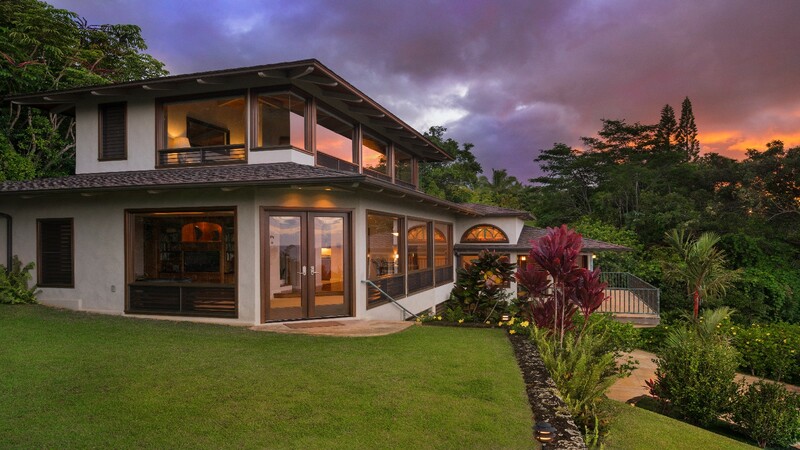 Expansive tempered windows embrace the vista. Redwood louvers welcome circulating ocean breezes. Ample decks with copper railings expand the living area. 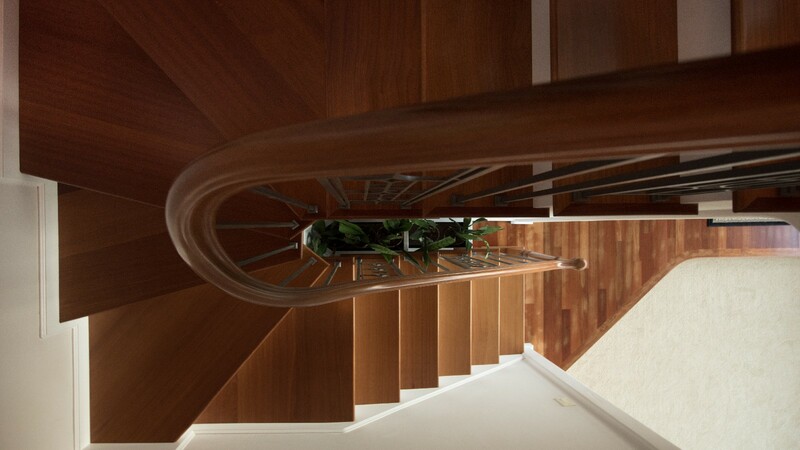 Durable Jatoba flooring adds to the overall feeling of understated elegance. 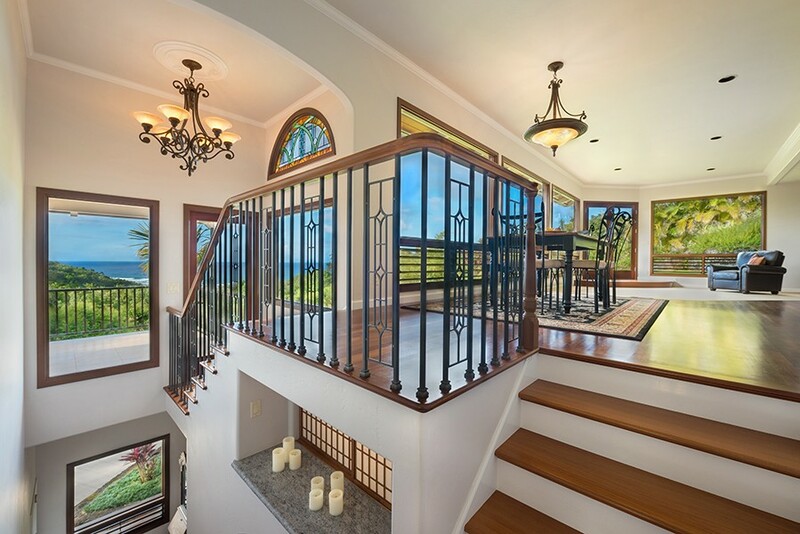 Luxe extras include stained glass windows, Italian marble and a spa tub. 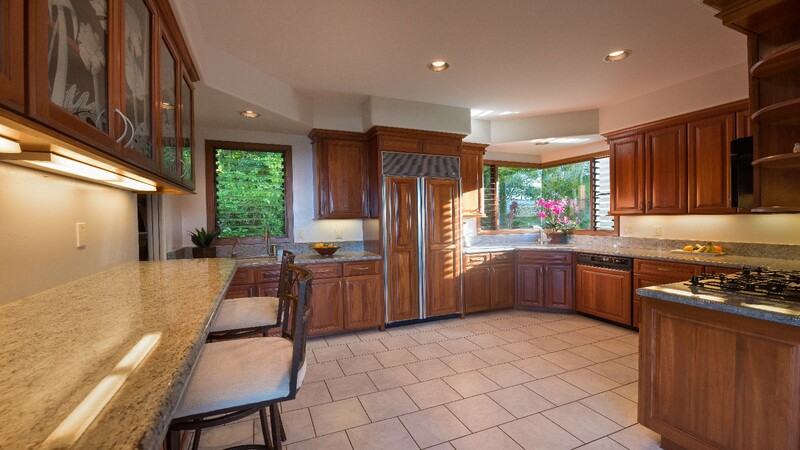 The kitchen boasts a Sub-zero fridge, a gas cooktop, and granite counter tops. 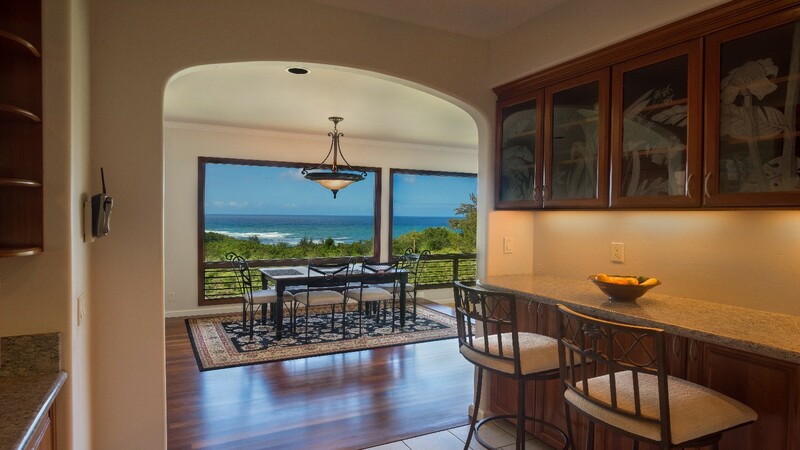 Additionally, there is a spacious two car garage and dumbwaiter. Due to the location, high quality of materials and caliber of construction, this is an incredible offer! 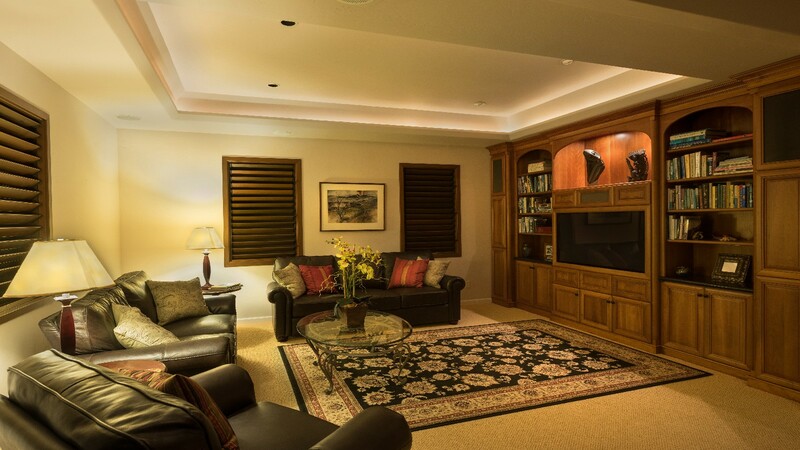 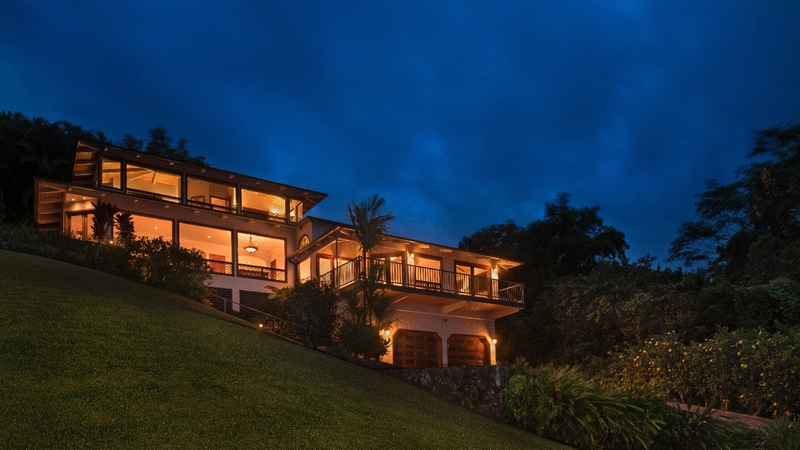 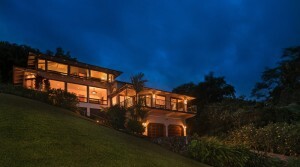 This beautiful home, in the midst of luxury estates, is in a friendly and low-key neighborhood. 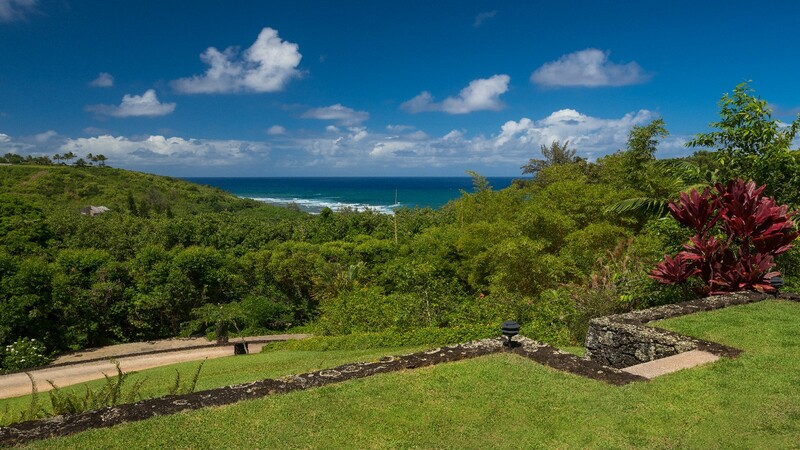 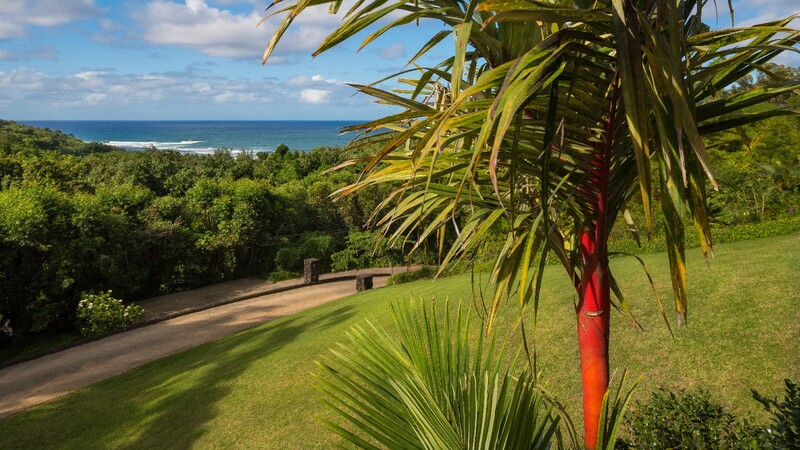 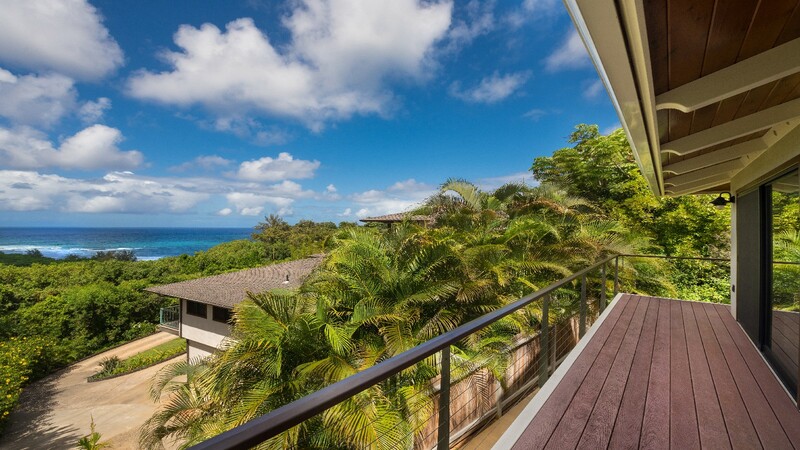 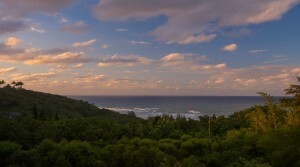 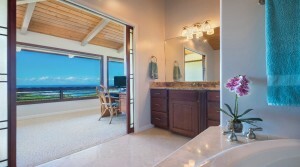 Truly, this beach community epitomizes the Hawaii experience.